“Anti-vaxxers” also understand that the hypothesis is not only biologically plausible, but that those studies weren’t designed to test it. Notice that she’s dropped the pretense of restoring faith in science and just stated flatly that it’s faith in public vaccine policy that she’s really after—and these are two mutually incompatible aims. There is indeed such a communication gap. This is because the patients are doing their own research and thinking for themselves and most healthcare professionals simply are not. The most fundamental communication gap, though, is that between what the public is told science says and what science actually says. Of course, the aim of this Newsweek article isn’t to educate people about the science, but to advocate public vaccine policy. In fact, the whole purpose of the article is to promote a new mobile app developed by the Vienna Vaccine Safety Initiative, of which the author is co-founder and chair. The app is called VaccApp, and as we can deduce from Rath’s implicit lie that getting vaccinated doesn’t come with any health risks, it isn’t designed to properly inform people about the science, but only to give them information to persuade them to follow the CDC’s vaccine recommendations. 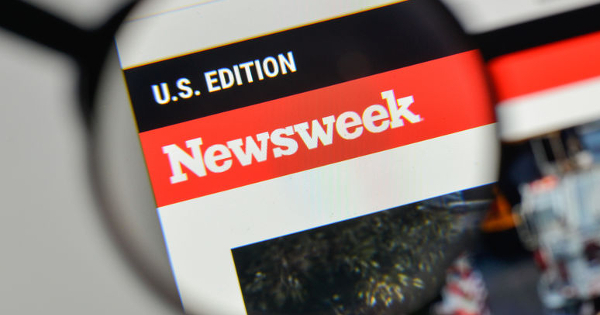 In other words, we can glean from this Newsweek article that the VaccApp is less than worthless and you should not use it because it’s obviously going to be an untrustworthy source for information about whether or not to vaccinate. The simple fact of the matter, as this mindless Newsweek piece so amply demonstrates, is that there is no serious discussion of the vaccine issue in the mainstream media. So, if you’re not already on my mailing list, get real journalism on the vaccine issue by clicking here and entering your name and email address to sign up for my newsletter and download a free report explaining why the words “FDA approved” don’t mean much especially when it comes to how vaccines get to market. For additional research on over 200 adverse effects linked to vaccines in today’s schedule, visit the GreenMedInfo Database on the subject. Jeremy R. Hammond is an independent journalist and analyst, publisher and editor of Foreign Policy Journal, and author. To explore his other writings on the critically important topic of vaccines download his free report “5 Horrifying Facts about the FDA Vaccine Approval Process”, click here to sign up for his newsletter.